“Foust Forward” appears in every issue of SpaceNews magazine. This column runs in the Jan. 21, 2019 issue. For the very patient advocates of space tourism, the good news is that 2019 may finally be the year that tourists get to fly on suborbital vehicles. Virgin Galactic’s SpaceShipTwo flew to space — or, at least, its definition of space, 80 kilometers — for the first time last month. 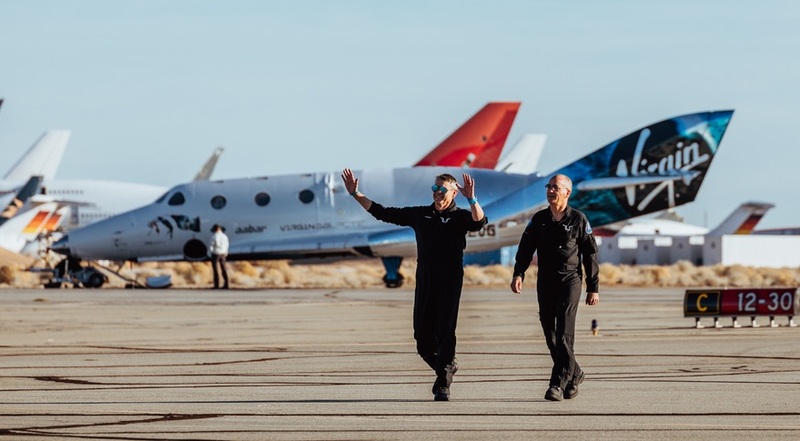 The company’s founder, Richard Branson, said after the flight he expected to be on the first commercial flight of SpaceShipTwo some time in 2019. Blue Origin’s New Shepard suborbital vehicle has already made several suborbital flights to altitudes above 100 kilometers, although so far without people on board. That will change this year, said Ariane Cornell, head of astronaut strategy and sales at Blue Origin, during a panel session on commercial space at the annual meeting of the Transportation Research Board in Washington Jan. 16. “Soon — we’re aiming for this year — we will be putting people in that capsule,” she said. The company, though, yet to start selling tickets or even set a ticket price, in contrast to Virgin Galactic, which started selling SpaceShipTwo tickets more than a decade ago. The bad news for space tourism is that, in the nearly 15 years since the test flights of SpaceShipOne that appeared to mark a new era in human spaceflight, the world has changed. While proponents of space tourism have billed it as a way of sharing the experience of spaceflight beyond the elite group of professional astronauts, others see it as something restricted to the wealthy elite amid growing concerns about income inequality. That came up during the panel session at the conference, an event where space is a bit player compared to other modes of transportation. One audience member argued that NASA’s astronaut selection process “was very much a reflection of we, humanity,” contrasting that with commercial human spaceflight. “Are you thinking about how to make this not just a new place for the rich kids of Instagram to go?” he asked. Another audience member chimed in. “We have had a history of rich people’s toys that are a transportation mode that ultimately are building spatial inequality and poor access to resources that manifest in our land use and the way people have access to jobs,” she said. Cornell emphasized the inclusive long-term vision espoused by Blue Origin, one where millions of people are living and working in space. She suggested that the company will find ways to fly people other than those able to pay what’s likely to be a six-figure ticket price. “We want to open this up as much as possible,” she said. “With New Shepard, we’re proactively coming up with ways that we can open this up beyond high-net-worth individuals.” She didn’t elaborate on what those approaches might be. That seems like an unlikely trajectory for spaceflight to follow, given how much more technically challenging even suborbital spaceflight is compared to subsonic aviation. However, he pointed out that the same vehicles developed for flying tourists can also be used for research. Collicott has flown several experiments on New Shepard flights, and noted that they offer opportunities for even students to fly payloads relatively inexpensively. In that case, having wealthy tourists is a feature, not a bug. “For me, if the rich tourists are happy to capitalize the creation of a new laboratory for me, and I pay basically incremental costs, where’s the problem?” he asked. Jeff Foust writes about space policy, commercial space, and related topics for SpaceNews. His Foust Forward column appears in every issue of the magazine.